You must make reservations at least 5 minutes in advance of the time at Morton's The Steakhouse - Richmond. Valet available every evening for $7 per car. A public lot & street parking are also available. 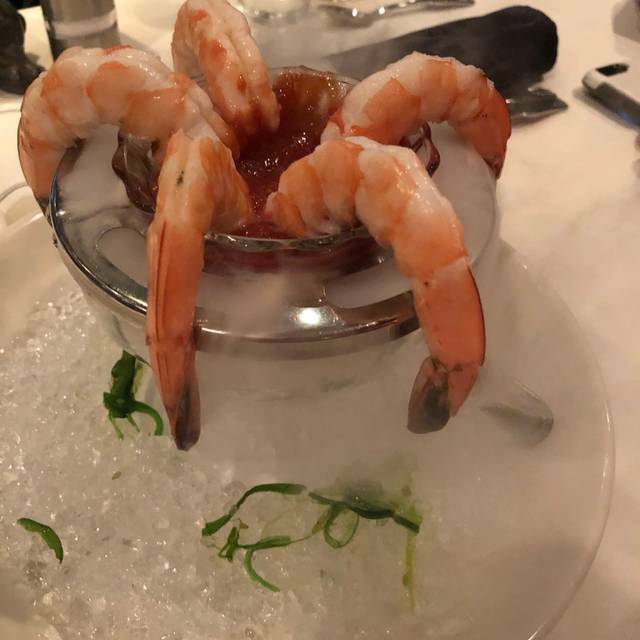 Thank you for choosing Morton's - Richmond. We look forward to serving you. USDA prime-aged beef, succulent seafood, fine wine, chilled cocktails, decadent desserts, crisp white linens and exceptional service...Savor The Good Life. For over 30 years, the Steakhouse by which all others are measured. For special events, private Boardroom information, worldwide location listing and online reservations, visit www.mortons.com. Great service and wonderful consistent food. Fabulous Steaks as always. Excellent food and service. The server was attentive and timely. Manager and assistants were courteous and efficient. Everything was impeccable, the service, the food, and the surroundings. The music was a little loud, which they lowered upon request, and it was a bit odd, besides. A little pricey, but worth it! Excellent food! Alex, the manager that night, was spectacular! Sean in the bar is an institution in and of himself--can't wait to go back for a visit! From the time Sophia greeted and seated me as the hostess for the evening,( and Emily provided top notch service) to my desert order at the end of the experience, it was a truly pleasurable fine dining experience. The thing that impressed us the most, is how unimpressive the entire experience was! From the ambiance and decor, one could easily imagine that we were sitting in a very tired dining room of an outdated Holiday Inn. The tables are literally buffet folding tables. Flat screened TV’s displayed a crackling gas fireplace for mood. And the Porterhouse steak was as tough as a shoe, even though it was ordered as medium rare. Our waiter was so busy trying to up-sell us at every opportunity, that he forgot to bring us the bottle of wine that we ordered, or even bread for that matter. It was so ridiculous, that we were actually entertained. Would highly recommend to AVOID at all cost! We went to Morton’s the day after Valentine’s. To accommodate more people they sat people in the private rooms. It was somewhat nice because it was a little bit more quiet. Con was that we didn’t get the true experience of Morton’s. The tables in the room were pop-up wood/metal (the party rental type). Our food was great - the bread was delicious and a huge serving. The Caesar salad was large with house made dressing. The lobster bisque was ok - not much lobster meat. Our steaks were wonderful as well as the spinach, mushroom side. The fries I could have done without. Service was fair, they were knowledgeable and helpful with ordering but not overly friendly. Minor issue with my husband’s cocktail served with a sticky glass. We asked for a wet towel or something to wipe it we never received it. I guess that was due to how busy they were with the large volume of tables that night. Overall we would recommend Morton’s because of the food (quality and portions) but I would not recommend on a busy night. It's the best steakhouse in Richmond, Virginia. Thank you for making it a special night. I had reservations to Morton's in Richmond Vafor valentine's day yesterday. It was the worst experience I have had a restaurant. When we got to the restaurant the hostess came out back eating while talking to me and my wife. The hostess was a African American woman she didn't state her name. She was chewing food right in front of us and the other white hostess in front that had on a white shirt. She stated sorry about eating in front of us but she didn't have time to eat. Then the hostess took us to our table. I order the Rack of Lamb well done the waitresses stated it will be cut into lollipops. I said that's fine. I waited 35 mins for my food. I cut the lamb its was pink with blood coming out. Told the waitresses and she stated the kitchen was backed up. It's going to take a long time to get you another rack of lamb. Also your waitresses need to be more educated on the menu because our waitresses describe the chicken all wrong. My wife had to send the chicken back and get something else. My wife got the salmon. That's a shock to me because this is supposed to be a upscale restaurant. I got lamb from the outback restaurant and they can cook it well done. The outback is lower scale restaurant then Morton's. 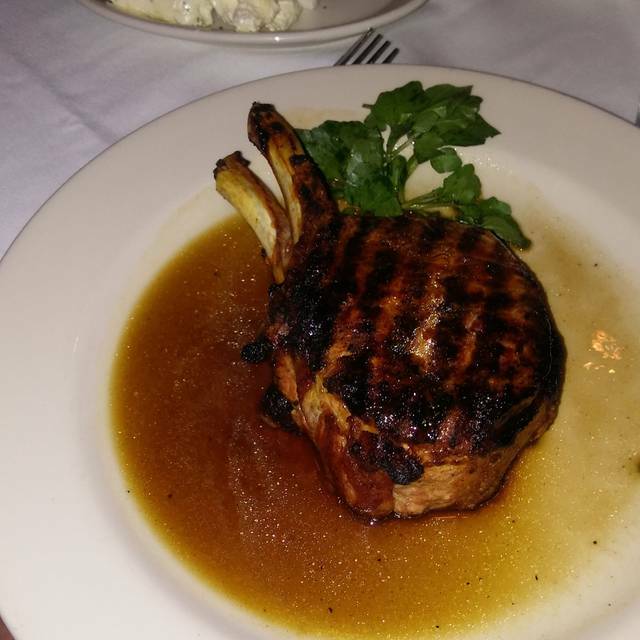 I compared Morton's restaurant to a Ruth Chris restaurant especially when it comes to price. This was our first time at Morton's and it was bad experience. I have had a way better experience at Ruth Chris restaurant. The hostess was professional and didn't eat in front of us. The waitress knows the menu. There chefs know how to cook lamb. The food dont take long to come to your table after ordering it. 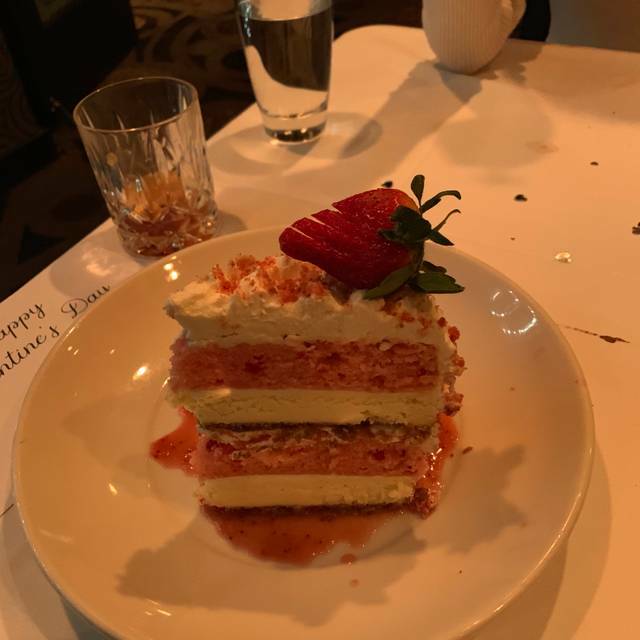 I took my daughters to Morton’s in Richmond for Valentines Day and everything was amazing from the food to the customer service. I would definitely recommend this restaurant to anyone that is looking for a very nice place to take your love ones for a special occasion. The menu is slightly pricey but honestly the food is well worth every penny spent. Great job guys keep up the good work. Great food and great service. It's a bit pricey so be prepared to spend extra. My husband and I absolutely love this restaurant. Everyone working there makes you feel special and the food is amazing. Staff was fantastic as always! We had a great time and will visit again next trip into RVA. VERY NICE FOR ANY OCCASION! FOOD WAS EXCELLENT AND WOULD HIGHLY RECOMMEND! GREAT STAFF AND AMAZING SERVICE! Morton's-Richmond is a wonderful place to conduct a business dinner. It is always quite and there is space between tables that is much appreciated. Steak or fish, it is always excellent. Sean was awesome as our server in the bar. He was engaged, flexible, efficient and knowledgeable about the menu. His cocktails were great too! Am hoping he's working during our next visit. He made an already nice dinner even better! The food is way to expensive for me. I expect my steak to cool down once it is delivered, but mine was already at or below room temperature when it came to the table. Not the restaurants fault, but my first several bits where of gristle and the piece of meat was not that big to start with. Best baked onion soup I have had in awhile. Dinner was lovely. Food was good. When steak not cooked properly they quickly made it right and gave us a nice side of asparagus. Restaurant area seems a bit dated. Extremely expensive but definitely nice cuts of meat. Lovely Christmas meal with our adult children. Festive atmosphere...much appreciated! Our server Shy (sp?) was wonderful. Thank you! Shockingly expensive. $100 per person without drinks. Very loud disco music. Ate here Christmas Eve for the fifth year in a row. Appetizers and main courses were outstanding but found lobster shells in the Lobster Mac and Cheese and the Sour Cream Mashed Potatoes were extremely spicy. Disappointing. Our experience on Christmas Eve was fabulous. The entire staff made us feel like we were the only ones there despite the restaurant being full. My husband and his sister both got the crab cakes which were all meat, no filler. I had the petite filet cooked to perfection. We topped off our meal with key lime pie and coffee. What a wonderful evening we had them on to mass without feeling sleepy. A perfect end to a perfect day. We went out for our annual Christmas dinner and were very excited to dine at Morton’s. When we got there we were greeted graciously by the host. We were then showed to our table which was very nice! The table was in the back of the restaurant but faced the entire room so we were able to take in the beautiful decorations. After that things started to go downhill a little bit. There were two servers that introduced themselves to us and said that they would both be taking care of us which got kind of confusing. We ordered a bottle of wine to get started which was later spilled on the table by the server while he was pouring. He was apologetic but didn’t really offer us anything. We paid for the bottle which was very expensive and I thought that maybe he would offer to comp the amount he spilled on the table but he didn’t. After that I put in our appetizer order with the other waiter which never got put in until I asked about it 20 mins later. We then ordered food, I was very excited to try the filet but when it got to our table an hour later it was over cooked and just (Ok). 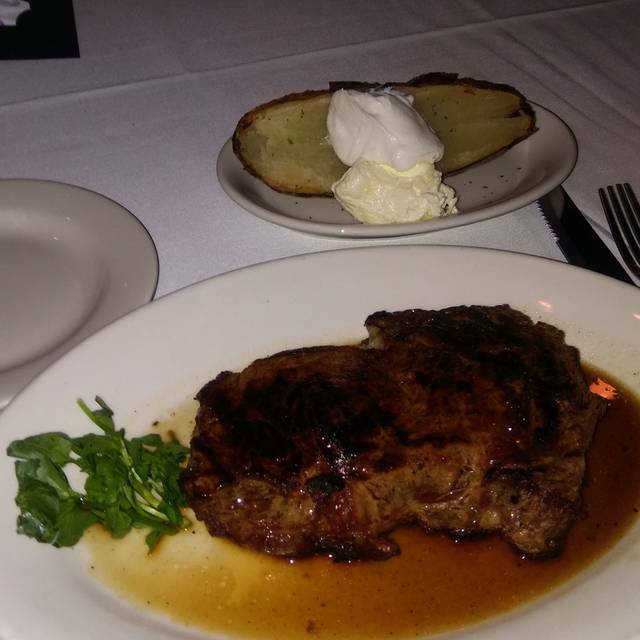 I’ve been to other top notch steak houses and I expected the same from Morton’s if not more. After spending $350 at dinner we expected to walk out the door completely satisfied which was not the case. Always excellent at Morton’s! Best food and service around! Celebrated my milestone birthday there with my husband. The food was fabulous! The service was outstanding! Our waiter, Daniel, was so personable and knowledgeable. Dining at Morton’s made us feel very special. Great evening. We ordered Sea Bass and it was some of the worst we have ever had. We let our waitress know, but all she could say was "I am sorry". On our way out we told the manager the same. At least she said , I wish you had told me sooner and we could have done something." Couldn't she have done something then? How about comping a future visit? Well there will be no future visit. The prices are out of sight, the service was mediocre at best and the food was not good. A very bad and VERY expensive lesson. My husband absolutely loved the grilled shrimp appetizer. The food was very good, steaks were prepared to specified requests. The noise level got quite loud in the room as the evening progressed. By dessert, we were almost shouting across the table. For a quieter time , come early....or it may have just been a full dining room of loud people on our night. :-( Food is good, but pricey. Fabulous staff. The best in Richmond. The food is wonderful and consistent. Amazing customer service. We had great service and the food and drinks were amazing! Went for anniversary. Had a special table, menu and card made for us. Classy! It was out first time and the overall experience was great. Will definitely go again. Bill provided extremely good service and really took good care of us. The kitchen delivered flawlessly, as usual. Really enjoyed our meal. Thanks for taking great care of our birthday boy, too! We love Morton's, but this visit was disappointing. We enjoyed the bar. Our Appetizer and salad were delicious. But, our entrees were not as good as expected, or for the price. My wife had the Filet and Lobster special. The filet was overcooked and livery, and the lobster was very tough and dry. I had the special that included two different cuts of beef with asparagus and potatoes. The Wagu beef was delicious, but the other cut was overcooked and dry. Also, we did not get our leftovers. We will be back, but we will stick with our tried and true favorites. Delicious meal, perfect service, and lovely ambience made for a great night out at Morton's. One caveat, is to expect to pay for top-notch everything. A two person dining experience, with a bottle of wine, a cocktail from the bar, two entrees, two sharable sides, and one coffee was over $300. No appetizers, no dessert. Again, a beautiful meal and service, so you get what you pay for. This is where to bring your date to impress. Special occasions for two is how I would characterize Morton's. There is a very nice bar with more reasonable prices for smaller portions. The food quality has declined. The lobster was either tough or poorly prepared and the steak lacked flavor. Quaint atmosphere with impeccable food and service!!! Will definitely visit again when in the area.